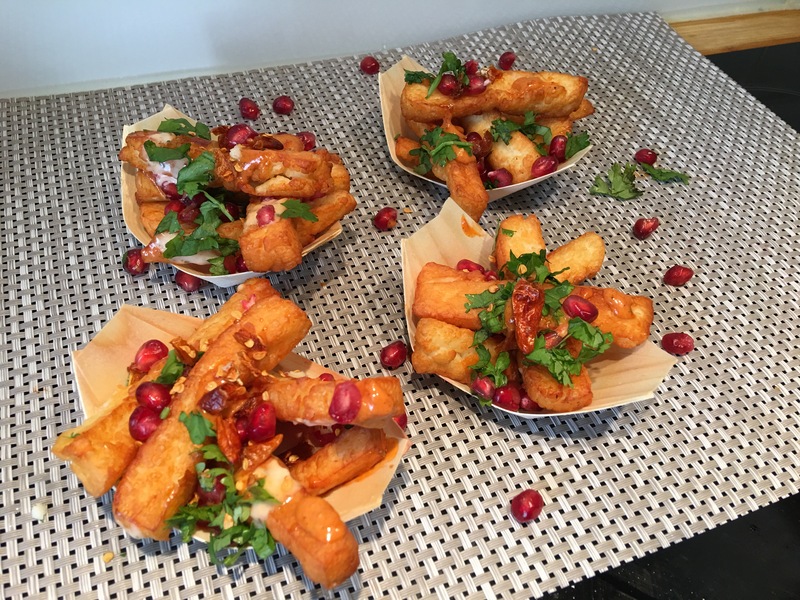 Tip – don’t cut the halloumi too thick as deep frying causes the halloumi to expand nor cut the halloumi too thin as frying will cause it to be too crispy with no soft centre. Tip – Frying on high heat for 30seconds, gives the halloumi a golden brown exterior, whilst the centre remains soft. To make the harissa mayonnaise, take 1tbsp of harissa paste and mix with 3tbsp of garlic mayonnaise (good quality brand). Add more harissa paste or garlic mayonnaise as per your preference. Set aside the remaining 3tbsp of garlic mayonnaise for dressing. 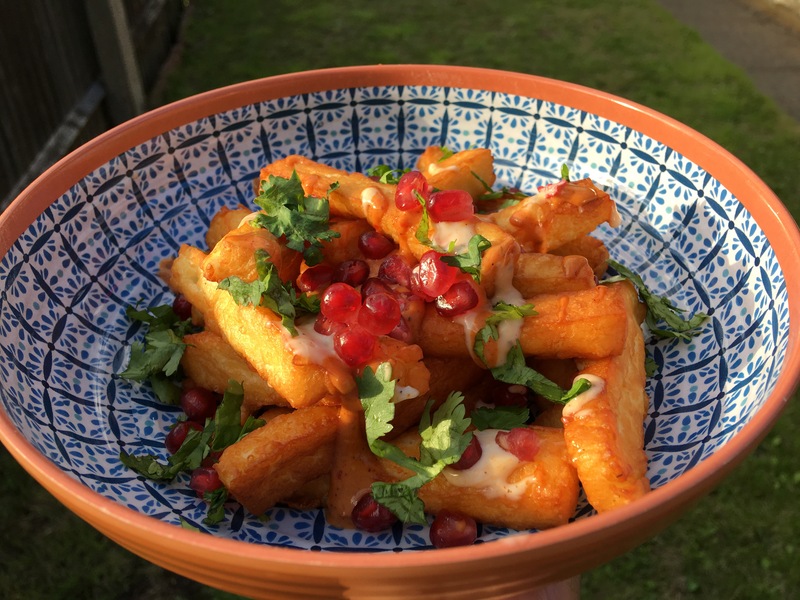 Serve the halloumi fries with chopped fresh mint, pomegrate seeds and crushed red chilli flakes. Drizzle with the harissa mayonnaise and garlic mayonnaise.